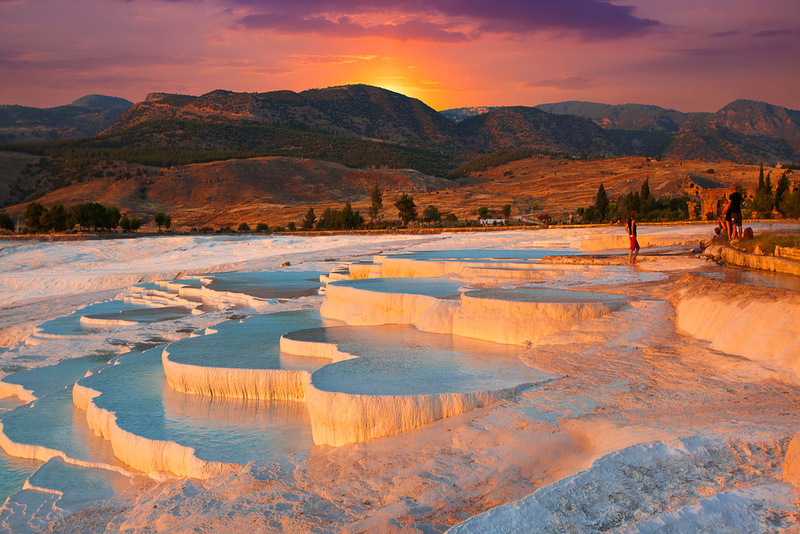 The baths of Pamukkale, Turkey, ranked #79 in our countdown of '100 Ultimate Travel Experiences of a Lifetime'. Ranked #79 in our countdown of ‘100 Ultimate Travel Experiences of a Lifetime’. 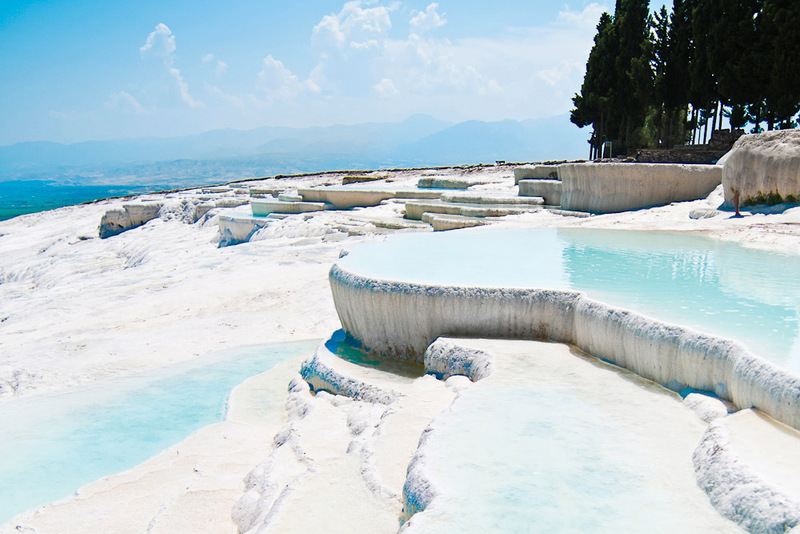 If there was no other reason for including the thermal baths of Pamukkale on this year’s list, it would make it for the name alone, or rather its translation: it means ‘cotton fortress’ in Turkish. 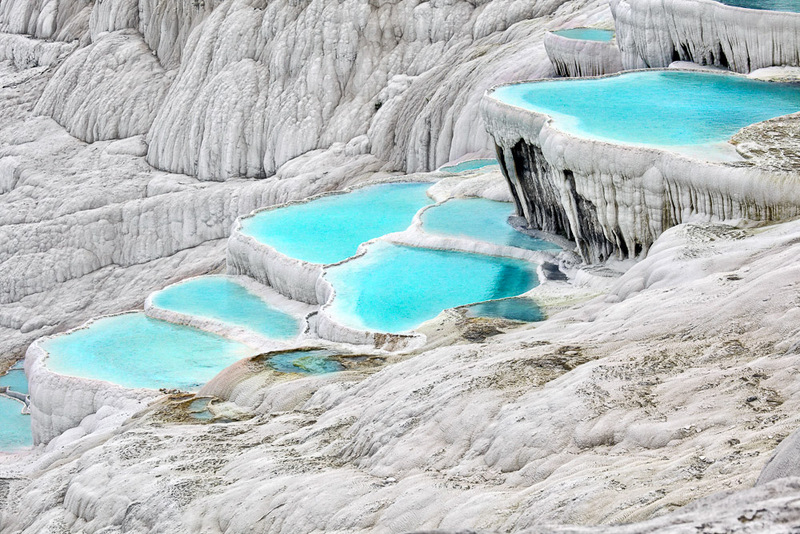 The moniker fits perfectly: the landscape is a white oasis of terraced pools brimming with mineral-rich warm blue waters which appear to be soft and fluffy but are actually formed when the calcium in the water hardens and builds up layer upon layer. It has been a spa retreat since Roman times, and the ruins are worth a tour when you have finished soaking your cares away. Need to soak your weary muscles? Find out more at blog.expedia.com.au/bucket-list.